These data reflect the average composition of the sun and are determined by non-trivial spectroscopic methods. Units are parts per billion by weight. Values in other suns (stars) will differ from those given here. 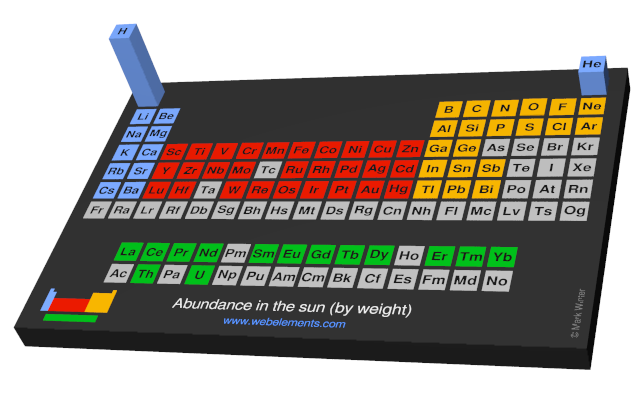 Image showing periodicity of the chemical elements for abundance in the sun (by weight) in a periodic table cityscape style. 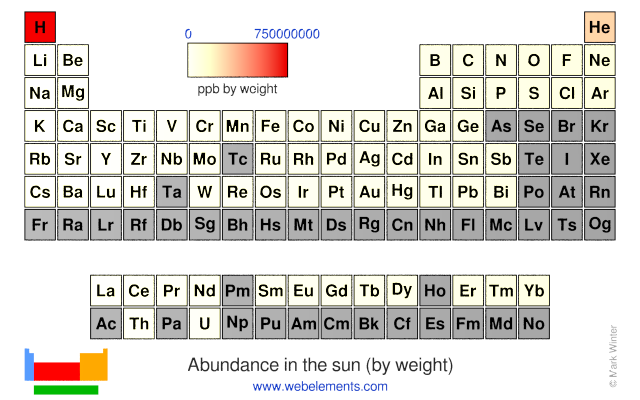 Image showing periodicity of the chemical elements for abundance in the sun (by weight) in a periodic table heatscape style. 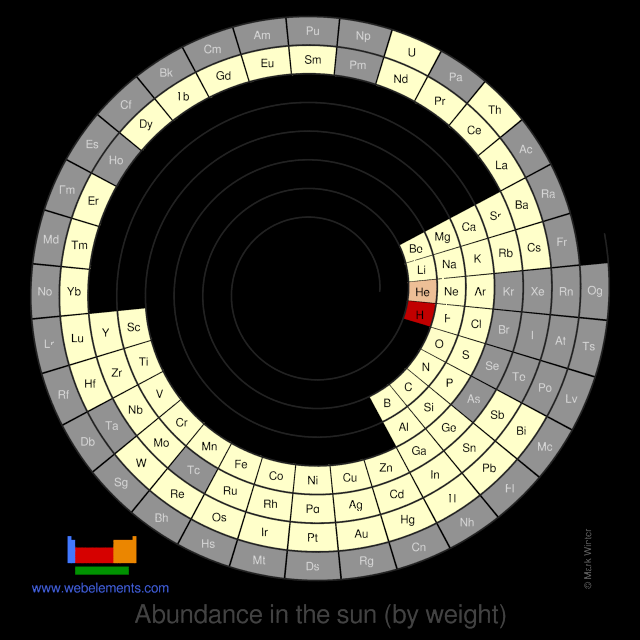 Image showing periodicity of the chemical elements for abundance in the sun (by weight) in a spiral periodic table heatscape style. 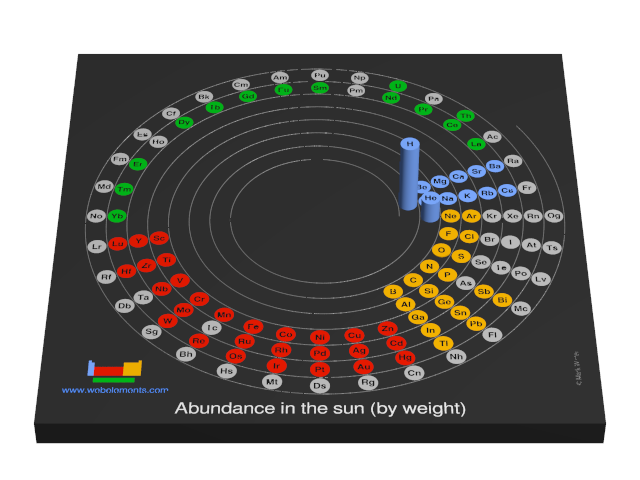 Image showing periodicity of the chemical elements for abundance in the sun (by weight) in a 3D spiral periodic table column style. 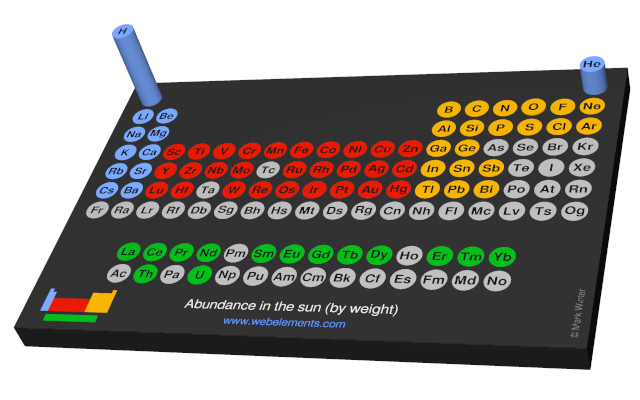 Image showing periodicity of the chemical elements for abundance in the sun (by weight) in a 3D periodic table column style.